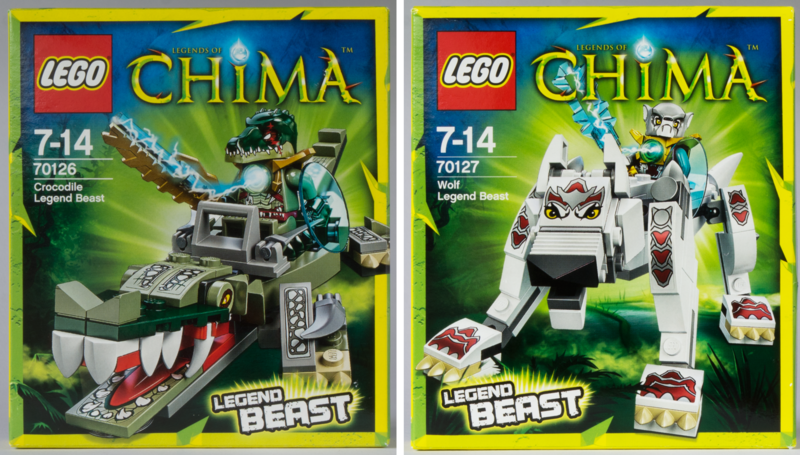 I began December by discussing the new ball and cup connectors that I'd received in two new Chima sets (70126 Crocodile Legend Beast and 70127 Wolf Legend Beast) and promised I'd discuss these sets more fully "soon". Well, a horrible 'flu and the general nightmare of All Those Christmas Things to Do put paid to that! But here is the promised post at long last, and it's something to get your teeth into. Ba-doom kissssh. I'm here all week. Most interesting of all are two new parts that have been based on part 49668, the 1X1 plate with tooth, which appeared a decade ago and has seen wide usage (not only as teeth and claws but also quite random stuff like headlights and ice skates) and been moulded in a surprising sixteen colours. That part has a couple of inherent problems though, each of which have been addressed by these two additional toothed parts. The Friends 'Collectables' range launched one year ago and since then nine cute, small and affordable bagged sets have been released featuring animals in little environments. 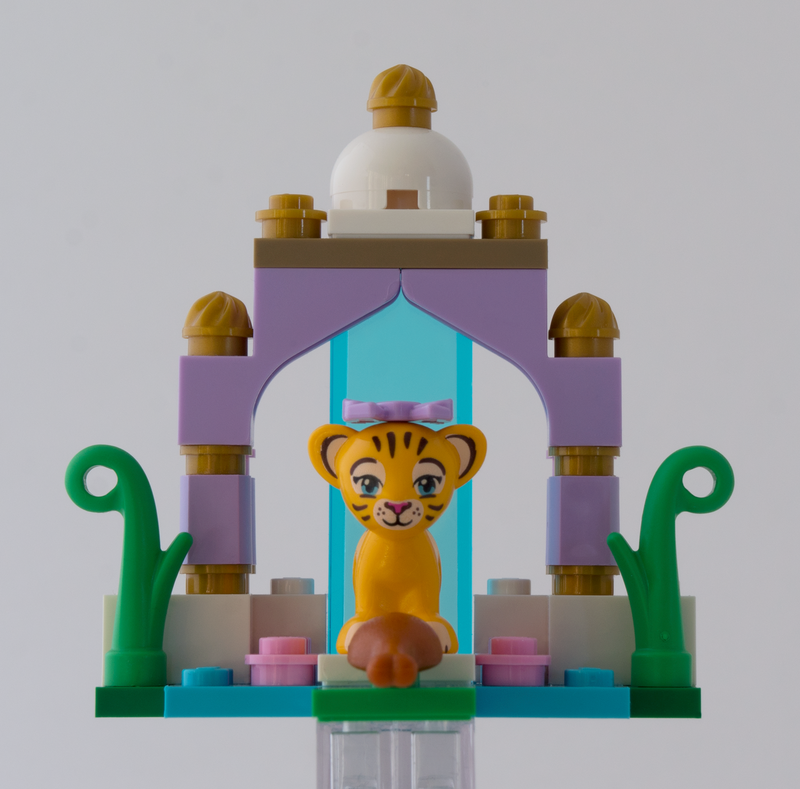 I've mentioned them once or twice in the past thanks to the appearance of unique elements, and indeed the new one that I am discussing today - Tiger’s Beautiful Temple - got a mention in a recent post (so I'll try not to repeat myself). A little bonus reading for you today! The nice folk at HispaBrick invited me to write an article, which I was honoured to do as they produce a fine magazine with a professional attitude. I've written a bit about each of my favourite new parts from 2013, which was a nice opportunity as there are many excellent parts that I haven't yet written about here on the blog. This is usually because it takes quite some time to prepare a full post that does justice to the part... time that doesn't always materialise in my life! You wouldn't believe how many half-baked articles lurk in my Drafts box. 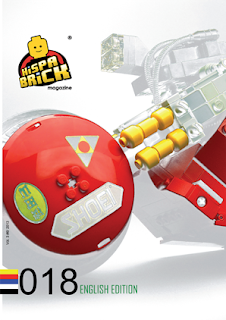 You can also see the 13 parts I chose on this Brick Owl Wishlist, although the actual article is hopefully more entertaining. 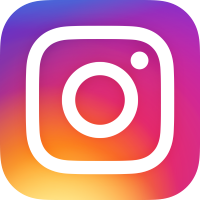 If you've not looked at HispaBrick before, definitely check it out - there's always a diverse range of articles including reviews, instructions and best of all (in my opinion) practical guides on various useful topics. This month there's over 100 pages, and my favourite articles are a tutorial on creating tessellating patterns with Erling bricks from the inspirational Katie Walker, and Simon Liu gives us a primer on using low level lighting to create beautiful effects in model photographs. The previous 17 issues, which are all available to download for free from their site, are a remarkable resource and you're bound to find much of interest. Bueno! How does one connect LEGO® parts? The classic 'stud and tube' design is the obvious answer but of course it's not the only technique. 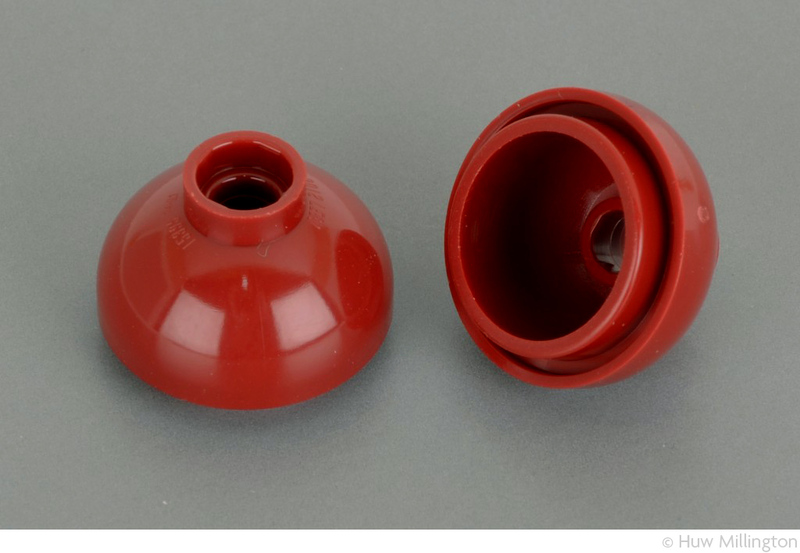 A myriad of 'connectors' have been introduced over the decades such as clips and bars, Technic snaps, various hinges - to name just a few - and in 2014 another kind is coming; a new style of ball and cup connector. 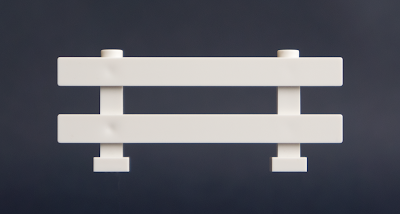 We first learnt of these in July this year when the new theme Mixels was announced and immediately caused a sensation - as these new joints have strong friction, so can be positioned at a wide range of angles. I've been dying to get my hands on them, but Mixels is not due out until March. It turns out these new parts will actually first appear in the new Chima sub-theme, Legend Beasts, which are due for a January release but are already available in many countries. The kind folk at LEGO's Community and Events Engagement Team have sent New Elementary two of the Legend Beast sets in advance of this official release so I'm rather grateful to them and rather excited to be able to tell you all about the contents! 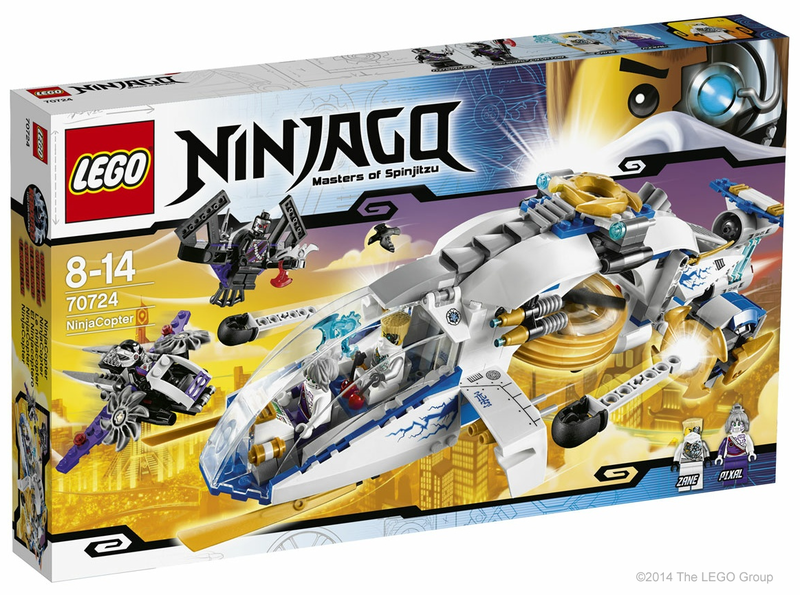 Of the 2014 sets that we know of - both officially, and leaked - it is the tie-in promotional sets for The LEGO Movie that have caused the biggest stir. Because they're bonkers. In a good way. Every set I see just oozes mayhem, which bodes well for the actual movie! Definitely winning in the bonkers stakes is 70803 Cloud Cuckoo Palace. It's as though a bunch of Friends theme Designers ate too much contraband sugar then breathed in balloonfuls of helium and sang 'I'm a Barbie Girl' as they worked. (Again, I should clarify, this is a good thing.) 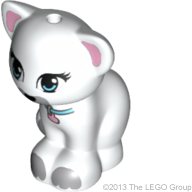 I can't wait to see Unikitty in the movie - that's the brick-built adorable monstrosity at the top; a half-bred cat and unicorn apparently. 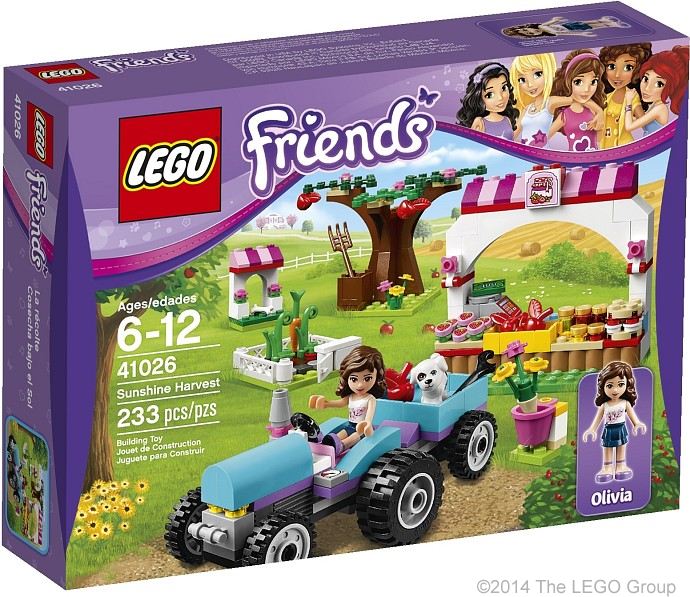 The 2014 excitement keeps rolling in, thanks to Walmart in Canada who have naughtily posted a lot of 2014 LEGO® box pictures in the last few days. You can catch up with them all on Brickset and I'll be pointing out some of the interesting new elements over the next few weeks. Today I've chosen three decorative elements that are appearing in several of the new Disney Princess sets as well as in Friends. 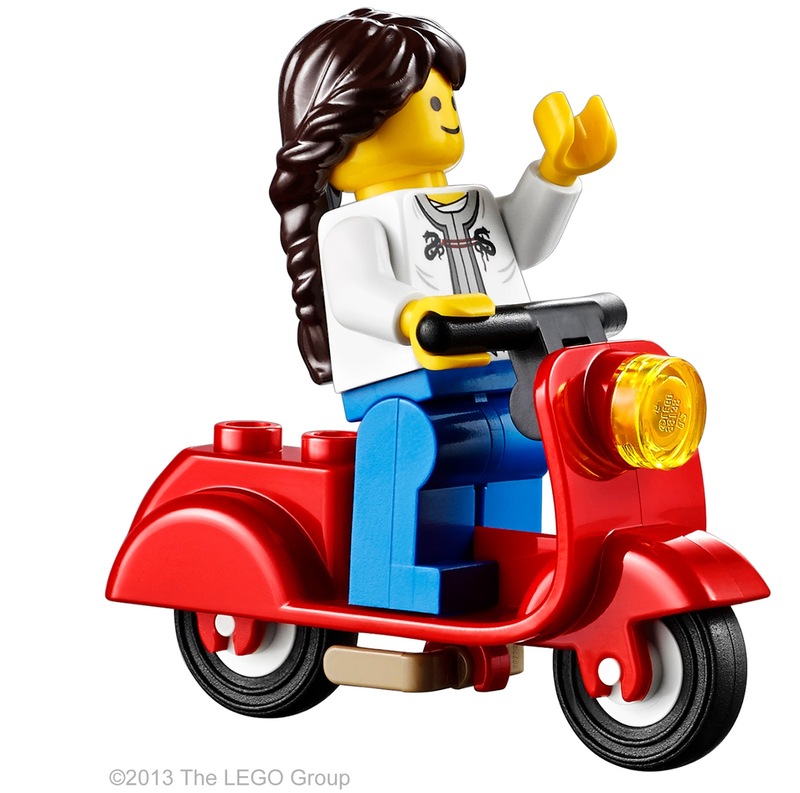 It's a great time to be a LEGO Girl. The first is a new plant! 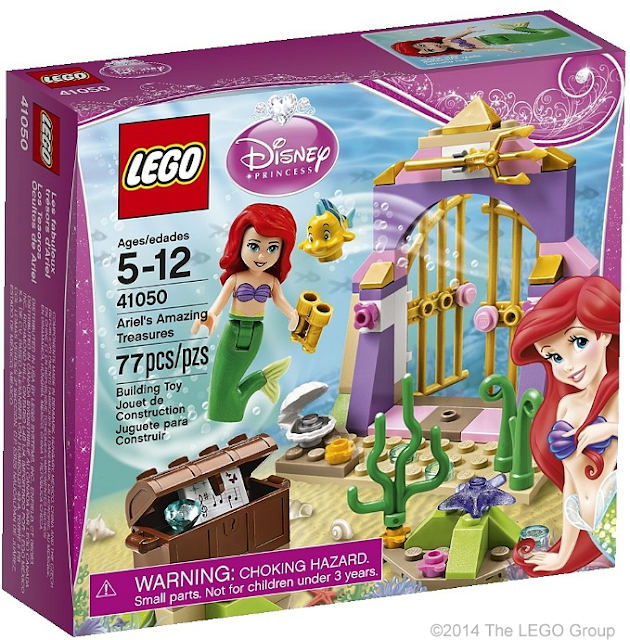 It can be seen clearly here on 41050 Ariel's Amazing Treasures. It reminds me of an unraveling fern, yet also works well in this underwater scene. There's something a little odd and creepy to me about the way it curls like that. It feels a little alien... and in fact, I've literally just spotted an Olive Green one in 75037 Battle on Saleucami (yes, there are Star Wars set leaks too). This plant seems to fit any scenario... in this forthcoming Friends set, 41026 Sunshine Harvest, it makes me think of a young corn plant. We are now in that exciting time of year when images of forthcoming sets are continually appearing, and as we all know, the very best thing about new sets is new parts. So over the next few posts I'm intending to highlight some of the exciting new elements being spotted in 2014 sets. I recently wrote about 10243 Parisian Restaurant which is due out in January; here's a quick update about a couple of the most interesting new parts in the set. Some fan sites have received review copies (two months before release... surprisingly early!) 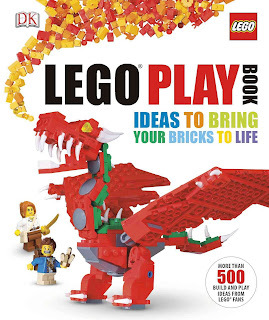 including Huw Millington at Brickset, who has kindly taken these pictures for New Elementary readers to pore over. 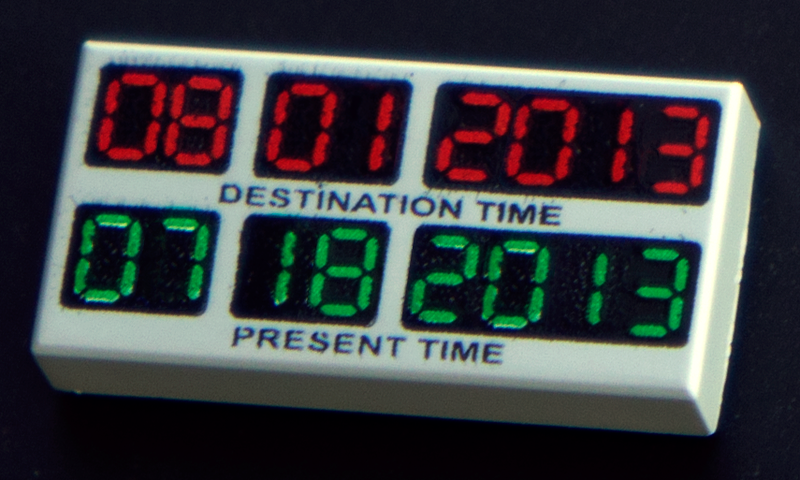 A new design (shown here in Light Bluish Gray) for the old part 2413 (shown here in White) began appearing in sets this year. Viewed from the top, they appear identical but seen from the bottom the change is obvious; notches have been added along the diagonal edges so that they can now be attached to elements underneath. It appears in five sets so far (but may also be used in older sets as the previous version runs out). White is in 60012 Coast Guard 4x4 & Diving Boat and 9664 First LEGO® League Challenge 2013 Nature's Fury. Black is in 76007 Iron Man": Malibu Mansion Attack and 76001 The Bat vs. Bane": Tumbler Chase . Light Bluish Gray is in 60015 Coast Guard Plane . 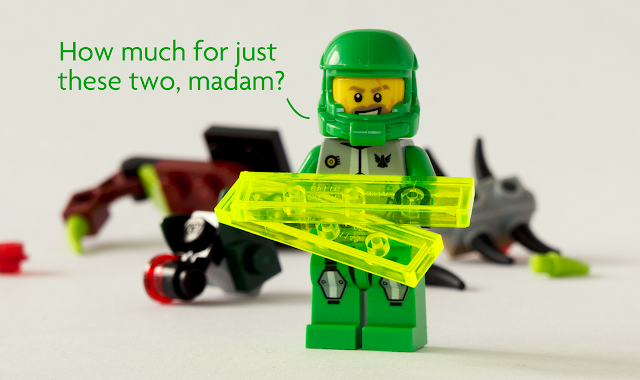 Decisions about whether or not to use notches have a long history at LEGO. At the time when System in Play began in 1955 you could buy little spare parts boxes of 'macaroni', the 2X2 round corner brick (part 3063), but this part came in notched and notchless versions simultaneously. Not like Schrödinger's cat though. Distribution of the two versions was seemingly random, just like when parts get new moulds today and you're unlucky enough to get both types in your set. Although the notchless version certainly looks nicer, its limited ability to attach to elements below meant a swift death, in 1957. 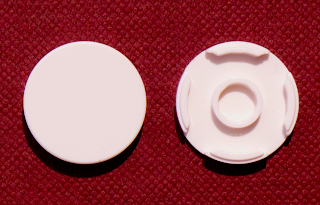 Also killed was the larger macaroni sister, the 2X4 semi-circular version, also available with and without notches - but even the notched version was deleted, deemed superfluous. This left only the classic 2X2 notched macaroni to survive (until a somewhat irritating redesign in 2008, but let's not go there right now). In today's post we're going travelling to places real and virtual, concrete and plastic, past and future, around the globe and beyond. I hope I haven't overmanaged your expectations with that pretentious opening line?... the first destination is Swindon. That's the concrete bit. I'm now home after an exhausting, fabulous weekend at The Great Western LEGO® Show, the UK's largest display, run by the Brickish Association who are the UK's largest LUG. I'm very rude to label the English town of Swindon as concrete, as the show itself is held in a beautifully restored nineteenth-century railway works building. I've not displayed there before and it was a wonderful experience to take part. Six other members and I covered 30 feet of the tables with models that we had built for The LEGO Play Book (the creation of which I discussed in an earlier post). 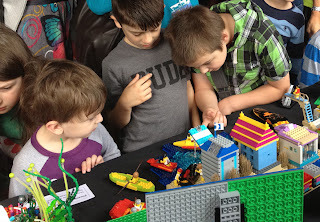 It was such a delight to see little faces (and big ones) lighting up at the sight of my creations, especially given that they'd already probably spent an hour or more having their faces regularly lit up by LEGO before getting to our display, which sat towards the exit. When I tell you, a cat must have THREE DIFFERENT NAMES." Extract from T. S. Eliot's Old Possum's Book of Practical Cats. 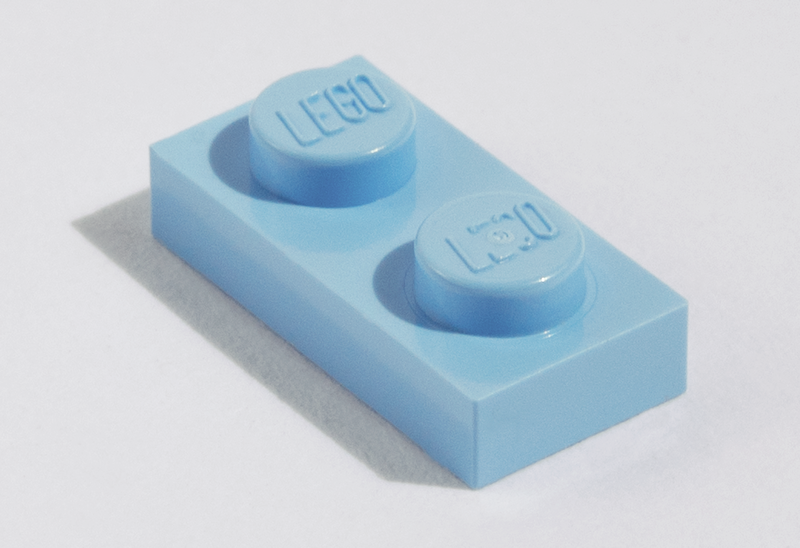 When we were kids and played with LEGO® alone, naming an element was no issue; we had a mental image of what we wanted and we located it. 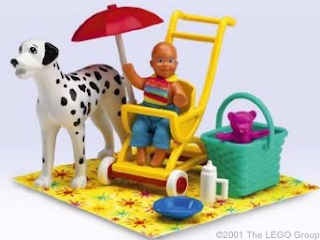 But many of us also liked to build with our siblings and friends and this is where our naming issues began. I might have asked my sister for "a red two-er" but this did not guarantee I would be passed the red 2X2 brick I had in my mind - she may have given me a red 1X2 plate instead. More successful were our nicknames; if I asked for a "milk bottle" I would confidently get a white 1X1 round brick and an "empty milk bottle" would gain me one in Trans-Clear [BL] / Transparent [TLG]. Those were simpler times. Now milk is sold in all kinds of packaging by many different companies. When I started this blog I was fearful there wouldn't be enough in the way of new elements to keep it going. Quite the reverse is true... I still have elements I obtained in June waiting for their moment of glory! This really comes down to the time involved in each post - researching, playing with the new parts and making some tablescraps from them, photography, Photoshopping (I don't like dust)... oh yeah, and writing. So today I figured I would play a little catch-up, by listing a few of the new elements released recently that frankly don't need any tablescrapping from me... you know what they do already, 'cos they're plates and bricks. This is not a complete listing, I just wanted to bring some of the cool stuff on my "to-do" list to your attention, in the hope you have need of some of these. Whenever AFOLs are asked to name their favourite LEGO® parts, there are a handful that consistently make the grade. One is the jumper plate, because it is the cornerstone of the "offset technique" - it permits finer detailing by "jumping" i.e. 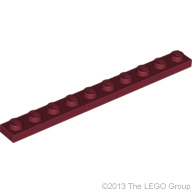 shifting parts placed on top of it by the width of half a brick. Well, I bring news today in the world of offset, because the jumper has just evolved. It can now also jump parts placed underneath it. The last time London architecture threatened my very existence was in June 2000 on the day the Millennium Bridge opened and then unexpectedly wobbled a lot. It was thrilling (until I thought about those "When Things Go Wrong" kind of TV shows and wondered if I was about to end up in the Thames). 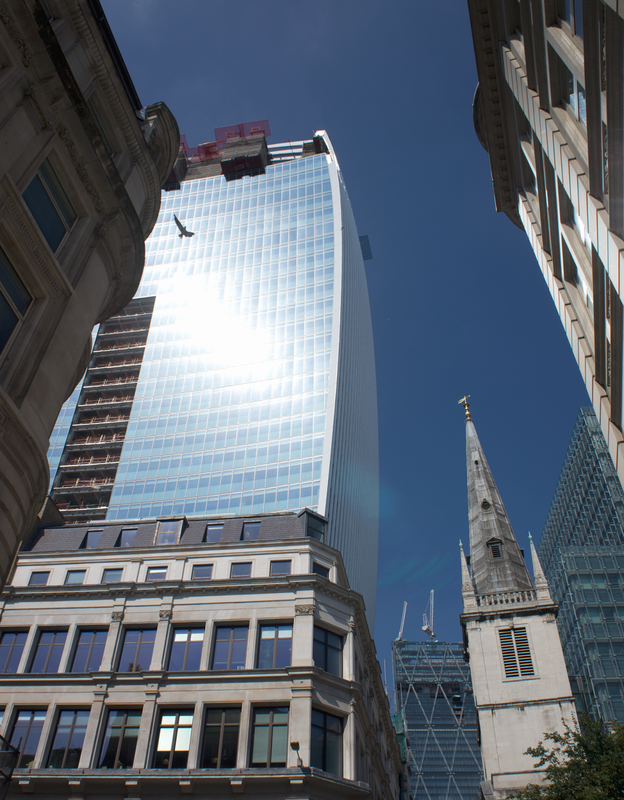 So when I read yesterday that a new city office block under construction, nicknamed the Walkie Talkie thanks to its shape, was inadvertently creating a concentrated beam of sunlight strong enough to melt the plastic on the body of someone's Jaguar (and, it was soon discovered, hot enough to fry an egg), I had to check it out. If only to answer the terribly important question facing us all - can it melt LEGO? 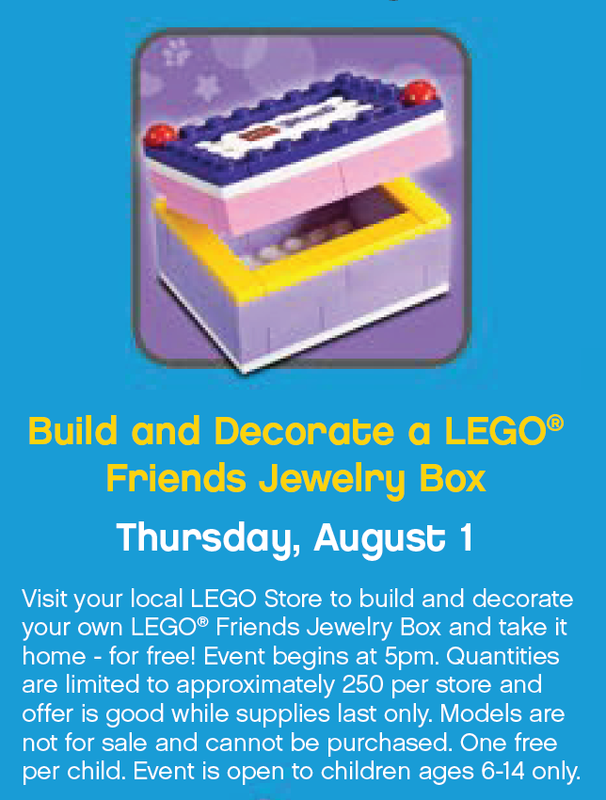 If you live near a LEGO® Brand Store in the USA or Canada and have nothing to do at 5pm tomorrow the 1st of August 2013 and have a daughter aged 6 to 14 (or a son to be applauded), keep reading. That's most of the caveats out the way; now look at this picture and tell me what you can spot? I think I know what I see. New element. Oooooo. I'd love to know if I'm right. The box is mostly made of what I think is Medium Lavender, and I'm pretty certain those are some 1X4 Bricks in there - which are not listed anywhere as yet appearing in sets. It feels odd for an element to appear in promotional builds before actual sets. TLG don't just make new elements willy-nilly, certainly not just for a polybag that is available for a couple of hours on one continent. I would make a guess that this new element was included in a set 'first' in terms of TLG's development timelines, and the shorter development time required to make a wee model like this means that in the end it got released earlier than the set. 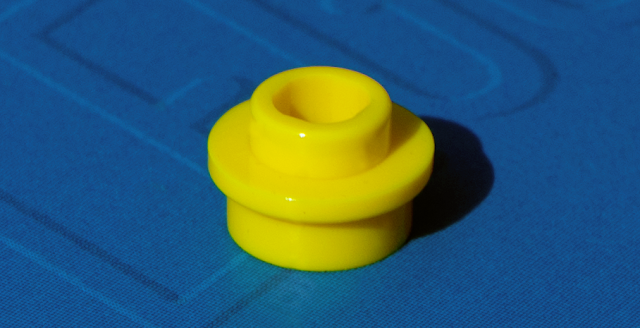 Stand by, fellow colour geeks, as a previously rare hue is back in basic bricks; Bright Light Yellow as it is named on BrickLink, but I personally prefer TLG's official name Cool Yellow. That sounds way cooooooler. Once again we have the Friends range to thank, and the great news is that you’ll get a lot of Cool Yellow basic bricks by buying just one set; 41005 Heartlake High , which went on sale today in the UK, and the US is this Thursday 1 August. Man, I really never intended to post as often as I have been these last few days! Nor did I intend to behave like a news site. So when this dropped a couple of hours ago, I told myself to hold back. I can't. This is too interesting. 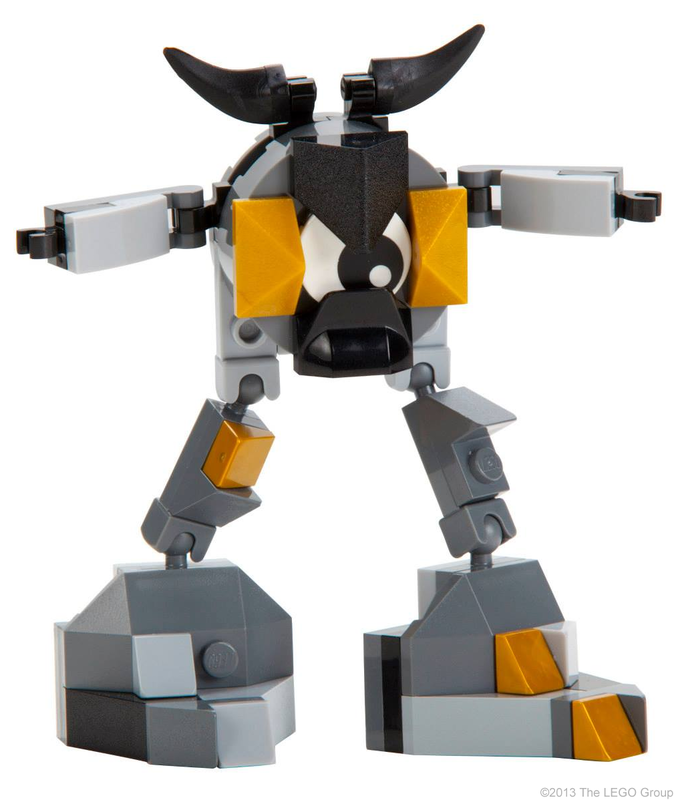 We have some jaw-dropping new elements coming in March 2014 as part of a kooky new intellectual property (IP) called LEGO® Mixels. The mysterious 21050 Architecture Studio has just surfaced. 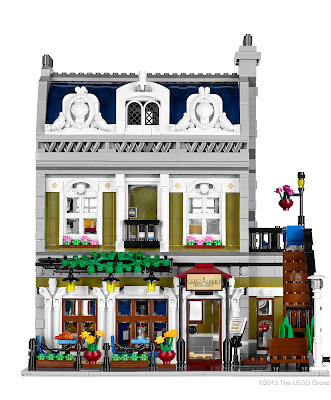 There has been little info about this set but the general assumption online was that it would be exclusive, at least initially, to US Barnes & Noble stores who are running special LEGO® Architecture Studio store events from 25-28 July 2013. But no; a single copy was spotted and bought by 'Miro78' at Legoland California today. It doesn't build anything in particular, there are no instructions. In fact there's an amusing and crazed disclaimer on the box stating, "Picture for inspiration only. Model cannot be built from the pieces in this box. Model shows pieces not included in this set. See side panel for full parts listing." Even more amusing if you read that out loud in the voice of a Dalek. 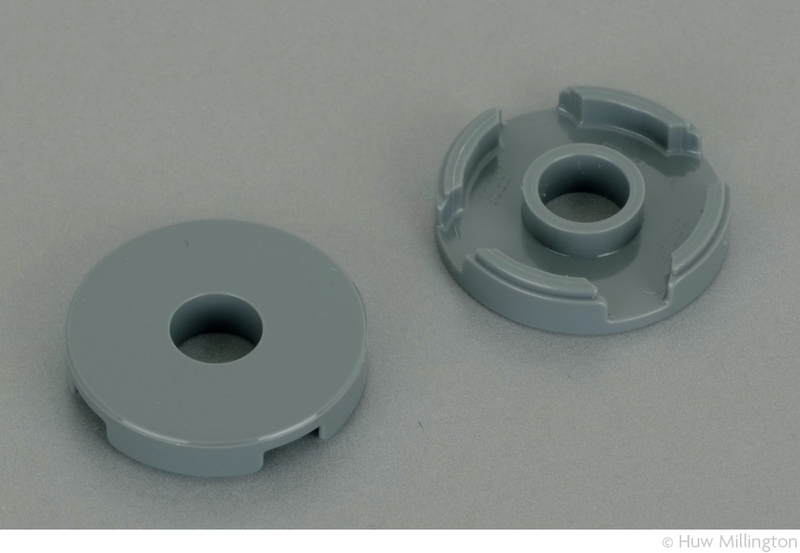 Miro78 has posted this helpful picture of said side panel on his Flickr, so look at the pic here and ask yourself - would I pay $US149.99 for these parts? There are 76 different elements, none are new or rare, and the total count is 1,210 pieces. Just a quick post to alert UK & German readers (and presumably some or all other European countries) that 21103 Back To The Future The DeLorean time machine is *probably* available in physical (not online) LEGO® Stores from today - 14 days in advance of the official release date, 1 August. But please ring your Store before you travel! As the early release was not really intended, it's possible your Store have not put it on shelves. A friend recently joked that my blog spoils the surprise of happening across a new element when you open a set. Actually I suspected he was only half-joking, so today I'm pleased to report his claim is not true! This element turned up in my 70002 Lennox' Lion Attack , a set which I happened to pluck from my build queue yesterday for no special reason other than it was close to my bed where I lay mafted by the unseasonable English warmth. Clearly it doesn't always come in that set - as 70002 has been available all year and as far as I can see, and no-one has mentioned this alternate part yet - so please don't buy the set expecting to get your hands on it! 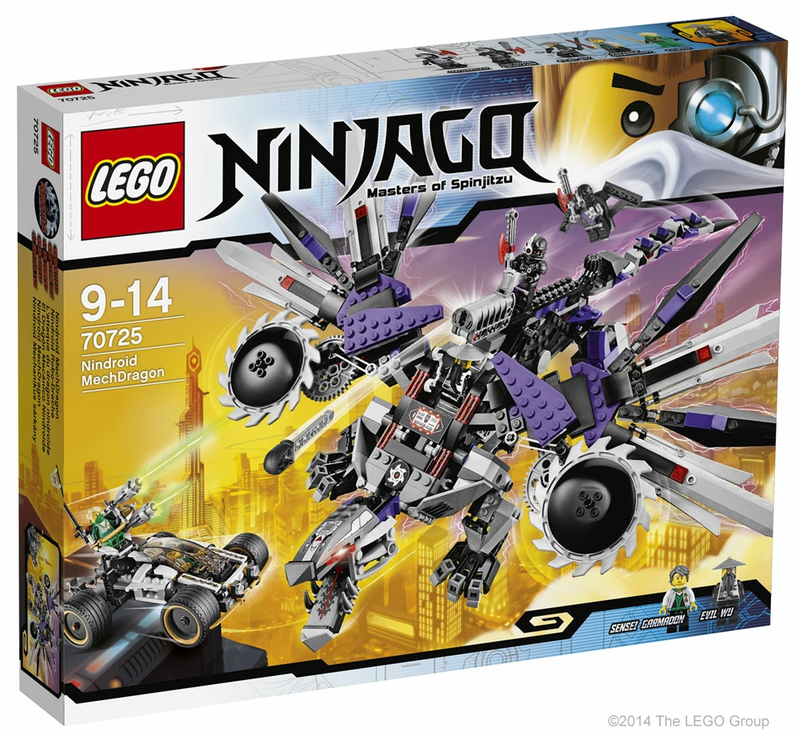 In fact, good luck getting your hands on it quickly, as there's no way yet to easily obtain it on BrickLink or Replacement Parts. Think of it as a poor man's Mr Gold for now. There’s something radical about this new element that really makes me happy. It’s not a new part. The white element has been available for four (glorious) years. So obviously a yellow one adds nothing new to functionality! And bringing a part out in yellow is hardly a radical move. What’s so amazing is that the new yellow element comes in actual sets; the white element only came in LEGO® Games. So what? As consumers we don’t care if we’re obtaining them via a game or a set? So here's a little game for y'all. I've been dying to know what new elements we'll be getting when the Creator 10234 Sydney Opera House" is released on 1 September. But with no inventory yet available, I've been frustrated. Here's what I've resorted to in the meantime! Eagle-eyed reader Diggydoes spotted a glaring omission from my recent post about new bows. It was deliberate, honest; I saved up this exciting new part for a post of its own. 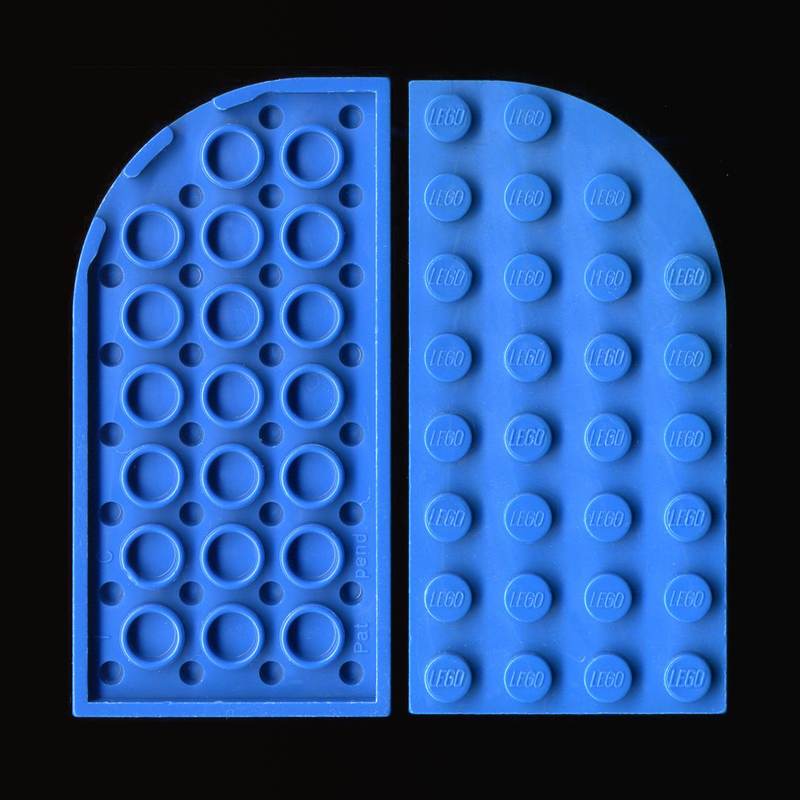 45° roof slopes have been present in LEGO® sets for a very, very long time. Nearly the full array of pieces we know today were introduced in roof tile supplementary boxes in 1958. So for a new 2X2 45° slope to appear 55 years later is kind of surprising, and most welcome. 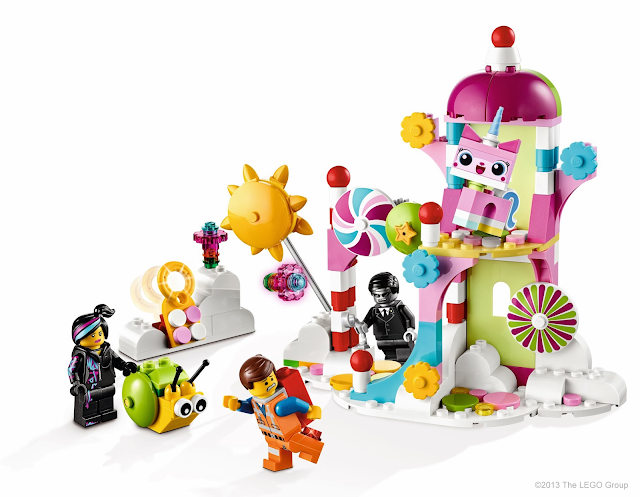 LEGO®'s summer release sets are beginning to appear and I've been inspecting what new elements will be amongst them. 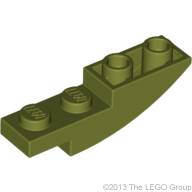 What first struck me is the number of curved slopes or bows as LEGO call them. So to begin my first ever proper post, we have an amazing new element! I get pretty darned excited when there is a new part that could really add something different to your MOCs. 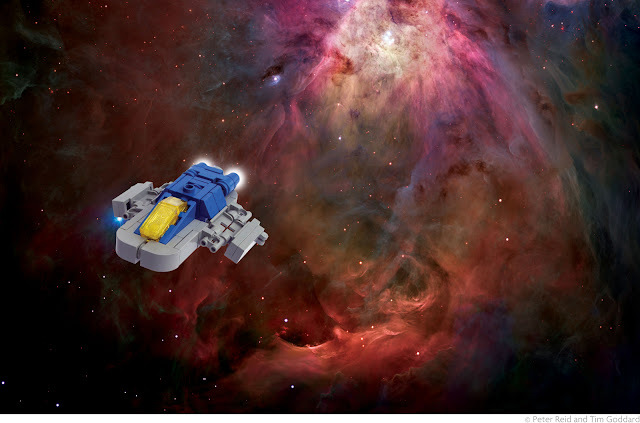 Post #1... another LEGO® blog, I hear you cry? Well, yup. I decided to put my 'money' where my mouth is recently, after complaining for years that it's not easy finding out about the new elements LEGO release or what sets I'll find them in. 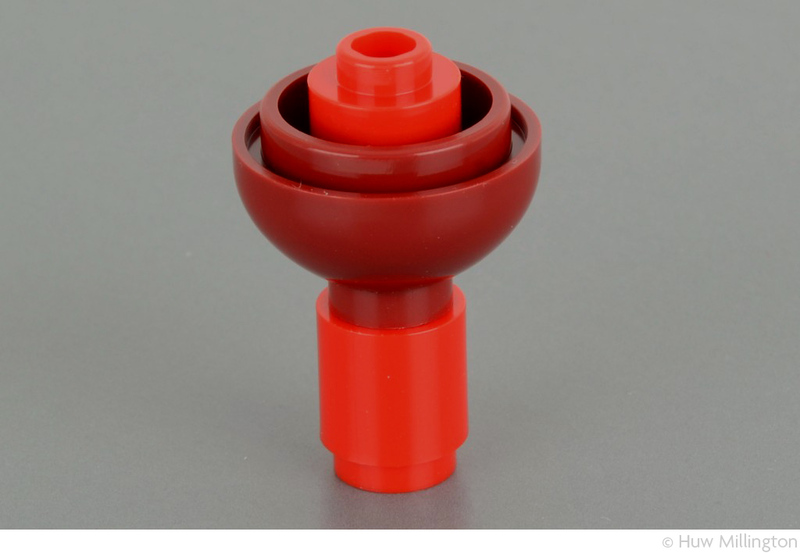 I use Bricklink and more recently Brickset's interesting parts database to find out about them, but it involves wading through lists and various cross-referencing to find out all I want to know. Things like; is this the first set to contain that element or have I just not been paying attention? Is that a new colour or a resurrection from a long-forgotten and slightly spooky girls' theme... and if it is the latter, what other pieces might I find to build with? Does it come in bley yet? So I'll still be wading and cross-referencing as always - but hey, let me do it for you! I'll be showing you elements that you can expect to be getting your hands on soon, and when I get my pet and smoke-free hands on them I'll be showing you what I come up with. I'll also take the occasional diversion and maybe talk about things like long-forgotten parts or interesting facts about element production.